We are a community of the international radical Christian ‘Catholic Worker’ movement. The Catholic Worker is Catholic, ecumenical, pacifist, communitarian and anarchist in the spirit of gentle personalism. The London Catholic Worker was brought together by the action of the Jubilee Ploughshares in 2000. Those who came together had long sensed the need for a Catholic Worker community of hospitality and resistance in the world’s second imperial city. Our hospitality work is now made up by four houses of hospitality, a community café and a drop-in soup kitchen, and we continue to focus our resistance on the ‘war on terror’, British nuclear weapons and the arms trade and solidarity with other resistors. We hope and pray others will be inspired and want to be part of our vision and our work. Catholic Worker (CW) communities are built around doing the ‘works of mercy’ – feeding the hungry, sheltering the homeless, visiting the prisoner etc. - and finding the often challenging face of Christ there. We are based in Houses of Hospitality as places for the works of mercy and centres of community. While sharing our lives with the victims of injustice and violence, we seek out the root of these problems and challenge the social and political systems that cause them. We see this work of resistance to injustice and violence as part of the “spiritual works of mercy”. We take as our manifesto the Gospels, the lives of the saints especially our CW founders Dorothy Day and Peter Maurin, and the CW Aims and Means. Our aim is, in the IWW words "to build a new society in the shell of the old" , "a society where it is easier to be good" , bringing about a non-violent revolution by changing the world one heart at a time. We publish a quarterly newsletter with this aim in mind. Contact us if you are interested in going on the paper or electronic mailing list; all are welcome to participate in what we do so feel free to get in touch. You are also welcome to visit and participate in any of our projects. 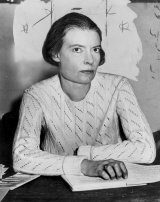 The CW was started in 1933 New York by Dorothy Day and Peter Maurin to “explode the dynamite of Catholic Social Teaching”, and has been comforting the afflicted and afflicting the comfortable ever since. Beginning with a newspaper and then the first house of hospitality for the poor and homeless, the movement has spread gradually. There are now between 150 and 200 CW houses and communities, mostly in the USA and about 10 other countries, including currently in five countries in Europe.